It goes without saying, and I write about it enough, that lure fishing offers the opportunity to get sessions in that otherwise wouldn’t be possible due to limited time. I have a ready-made rod, a shoulder bag with tackle and a net that folds up. They go in the boot, I hit the water’s edge and within seconds I’m fishing. Fishing a lake that I’ve mentioned several times recently, again I had no perch but was rescued from blanks on each occasion by small pike. Fishing with a 1g jighead and a small rubber fish, I was widening my scope to catch as much as possible, but it was just pike that obliged. I love the feeling you get when retrieving a lure and you suddenly feel the thud as a fish attacks the bait. It is bettered only by eventually getting it on the bank. 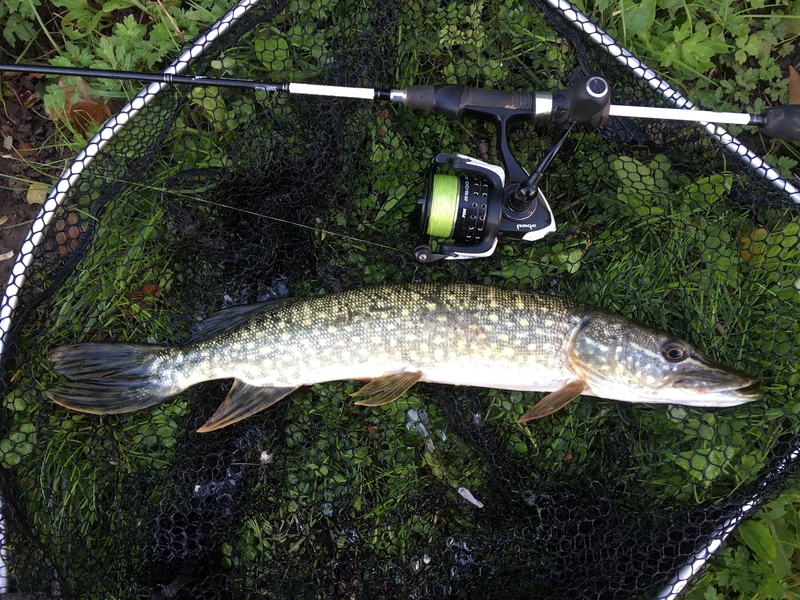 As you can see from the photographs, they’re not big pike at all, but it’s not an issue to me. I just love fishing, regardless of the size of the quarry. I will continue to lure fish throughout the year, especially when time is tight. I actually need to add up the number of sessions that I’ve done so far in 2018. I think I may surprise myself – pleasantly so – and lure fishing has had a big part to play in that. Click here to return to the website home page.